Are you looking for a unique gift for someone, or something different for yourself? 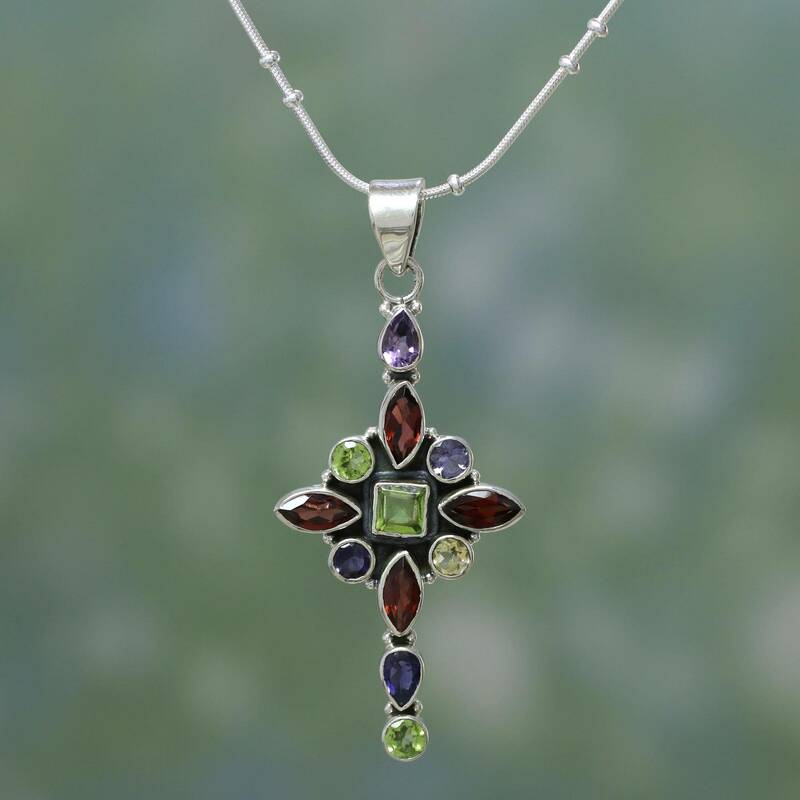 NOVICA is the site to shop! I could browse around for hours and there are so many items I would love to buy! NOVICA LIVE from Novica United on Vimeo. I love the beautiful Wool Scarves and Silk Scarves! Scarves are a great way to dress up any outfit and add a splash of color! Also check out NOVICA's collection of Silk Fans! I remember having several cheep paper fans when I was a girl, I though they were so cool! Now I want a "real" one! Part of the reason I choose Garnets is because it's my husbands birth stone! Both pieces are beautiful and came in beautiful packaging as well! I received a post card with each one with a hand written note on the back thanking me for my purchase! I love that personal touch! Now for the fun part!!! **I must be able to contact you, (email, Facebook, ?) if I can't contact you, you can't win. - Follow my Blog on Google Friend Connect, leave a comment stating you did! - "Like" NOVICA on Facebook, tell them you saw Mrs. Marine's Giveaway, leave a comment stating you did! 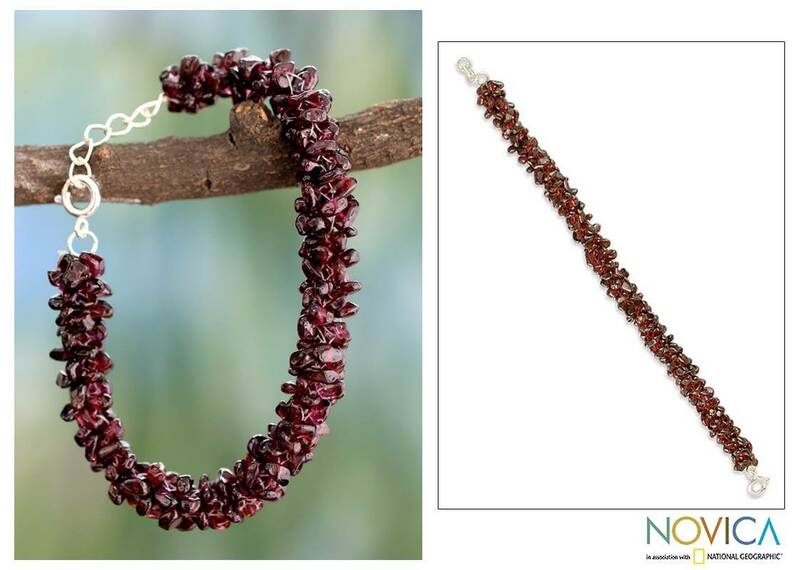 - Follow NOVICA on Twitter, leave a comment that you did! - "Like" Mrs. Marine and the Tiny Troops on Facebook and or Follow Mrs. Marine on Twitter, leave a comment with your Twitter/Facebook name! - Subscribe to my blog feed, leave a comment that you did! **This giveaway is open world wide. The Giveaway closes on Tuesday, June 7 at 11:59 PM Eastern Time. The winner has 72 hours to respond and will be announced in a post on Thursday, June 9, 2011. I will choose the winner using Random.org. I would spend it in my mother because she is awesome and never does anything nice for herself. I'd like a set of Andean panpipes. I would use it for my mom! voted on PF for you today too! I would spend the money on my husband. I would spend the gift card on getting a gift for my mum's upcoming birthday.. following you on GFC and FB. I'm a happy follower. Please count me in. Hugs! That is some beautiful stuff! I would probably spend the GC on my daughters. Im a follower and forgot to say, the best way to contact me as via email at puttingthefunindysfunctional(at)gmail(dot)com. I'd get the Pearl torsade necklace, 'Party Balloons'. If I won, I would get a new handbag. So many cute ones! I follow Novica on twitter (@RebeccaFH). 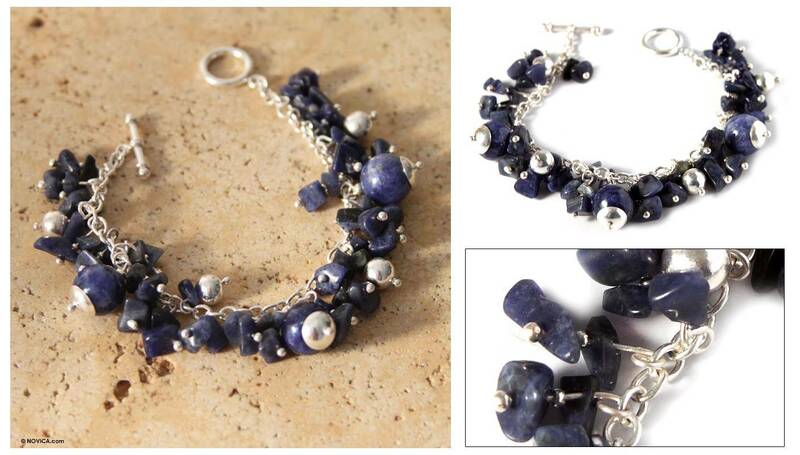 OMG just fell in love with the moonstone flower bracelet. I would totally buy it! Hi, I would spend the gift certificate on both myself and my daughter. I follow NOVICA on Twitter (@shala_darkstone). I "Like" Mrs. Marine and the Tiny Troops on Facebook (FB name: Maddie Brubaker). I follow Mrs. Marine on Twitter (@shala_darkstone). Liked Novica on Facebook and mentioned your giveaway on their page! I think I would use it to get my sister or daughter something.